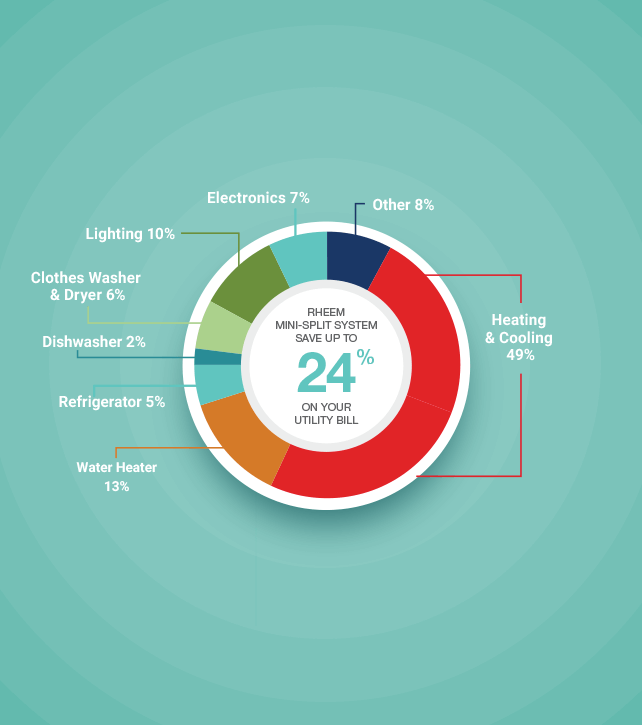 Warming your home on chilly days and acting as an air conditioner on hot days, ductless Rheem® mini-split heating and cooling systems use heat-pump technology to keep you comfortable—and shrink your utility bills by up to 24%1. 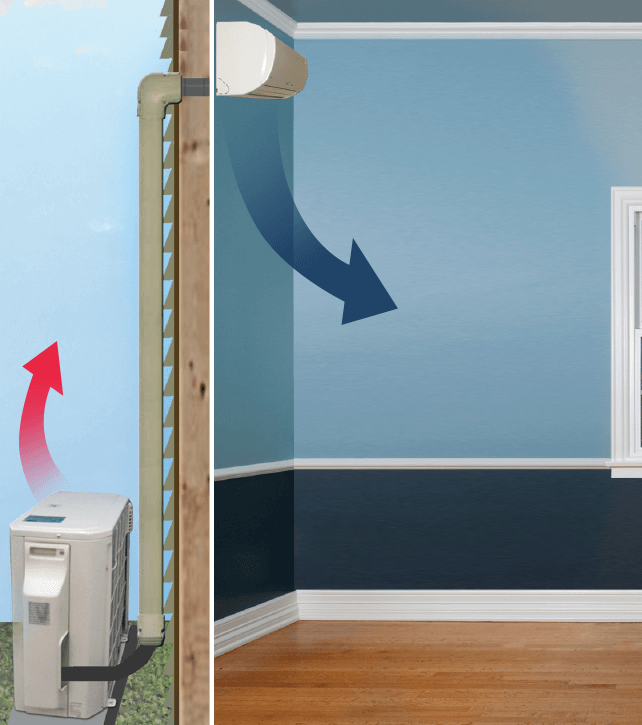 Click each button below to find out how the Rheem Single-Room or Multi-Room mini-split heating and cooling system makes the hottest places cool and the coolest places more comfortable. 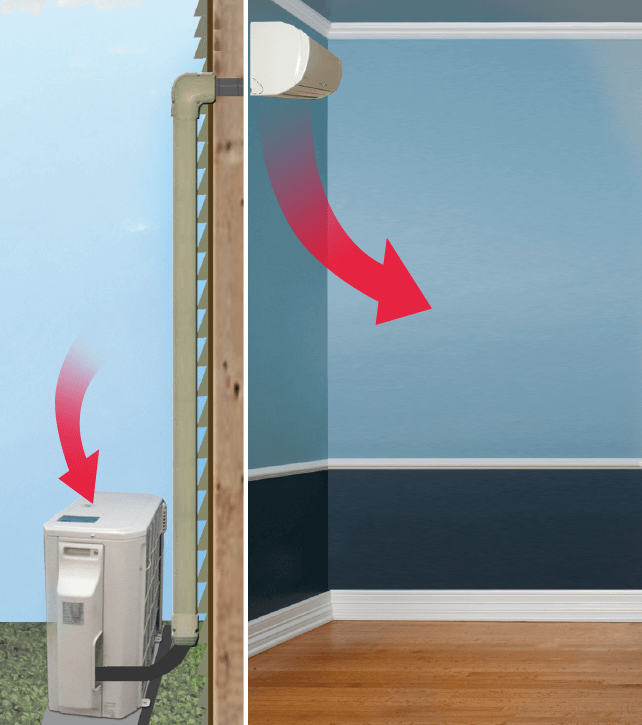 Rheem Mini-Split Systems come with an easy-to-use remote control for convenience. 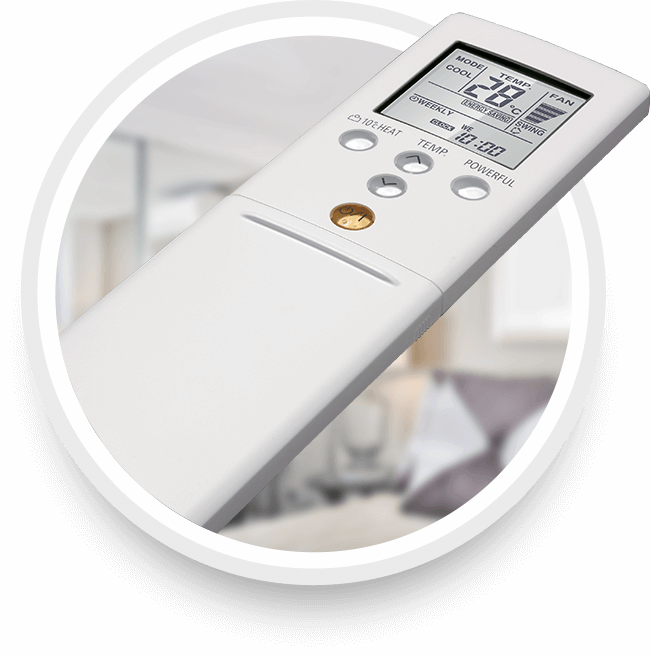 Ready to bring customized comfort to your home? 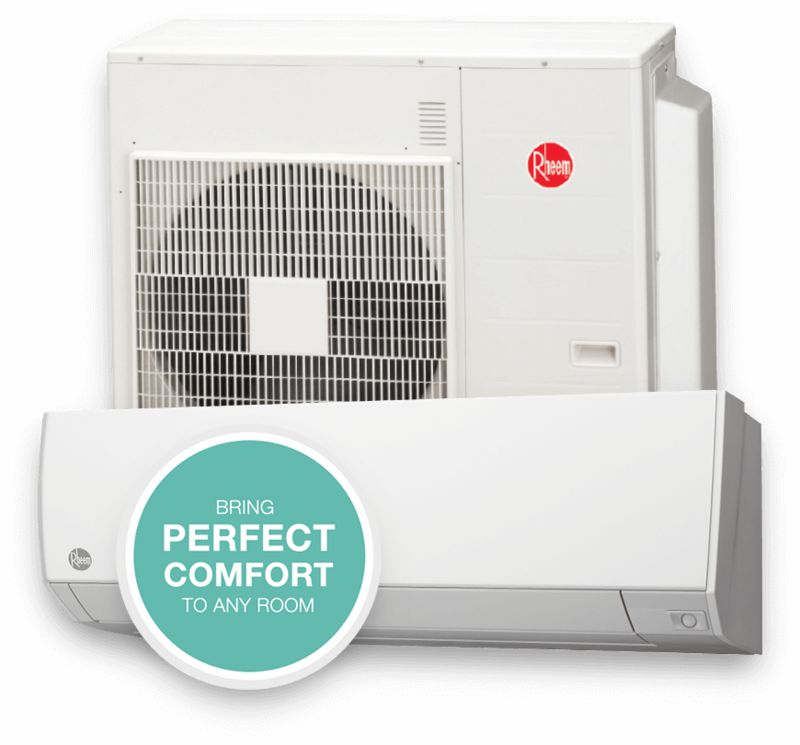 1Savings may vary based on mini-split heating and cooling system model selected, hours of operation and geographical location. 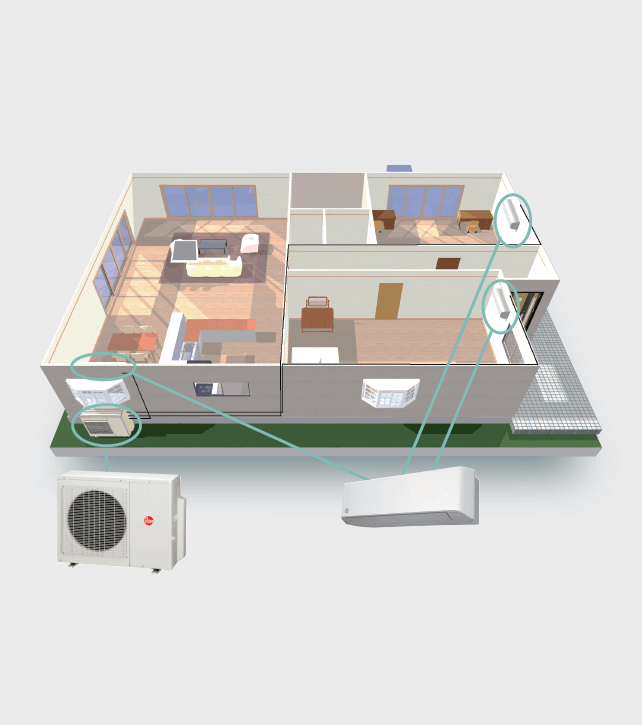 Example given based on 33 SEER mini-split system versus 14 SEER mini-split system.